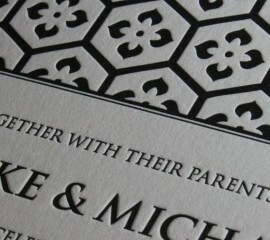 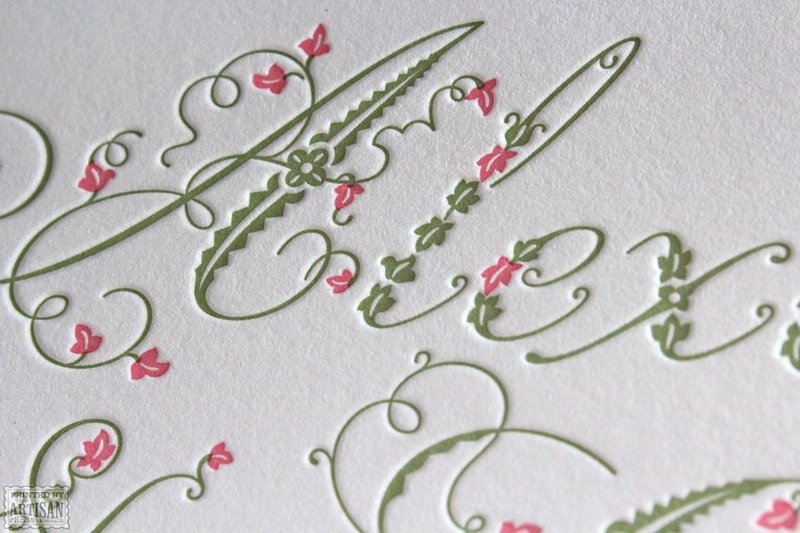 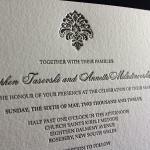 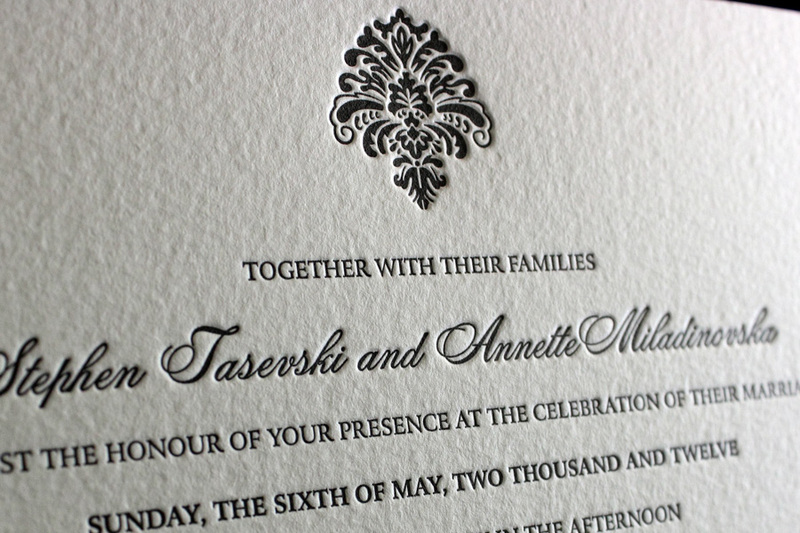 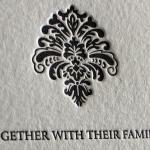 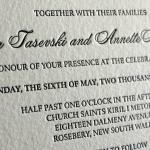 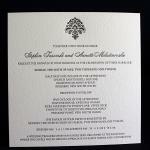 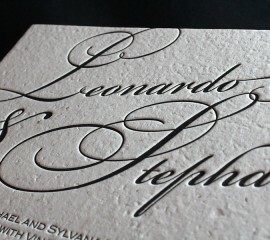 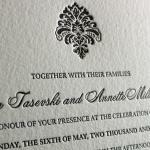 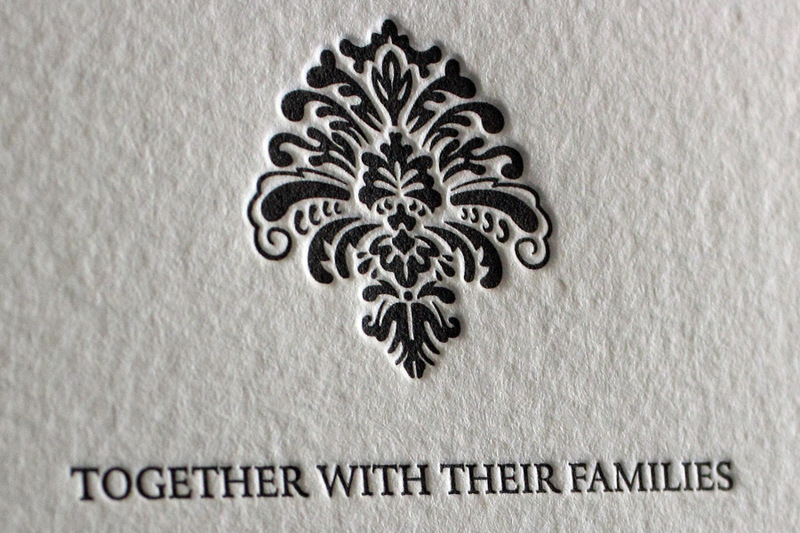 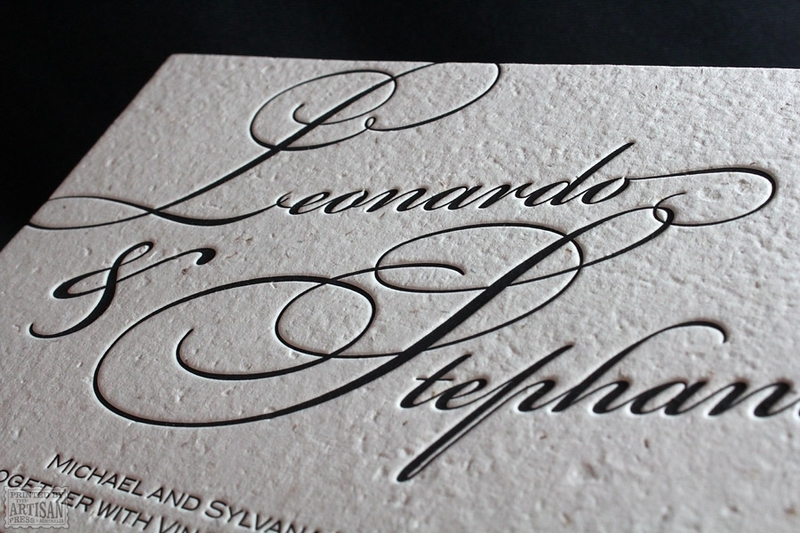 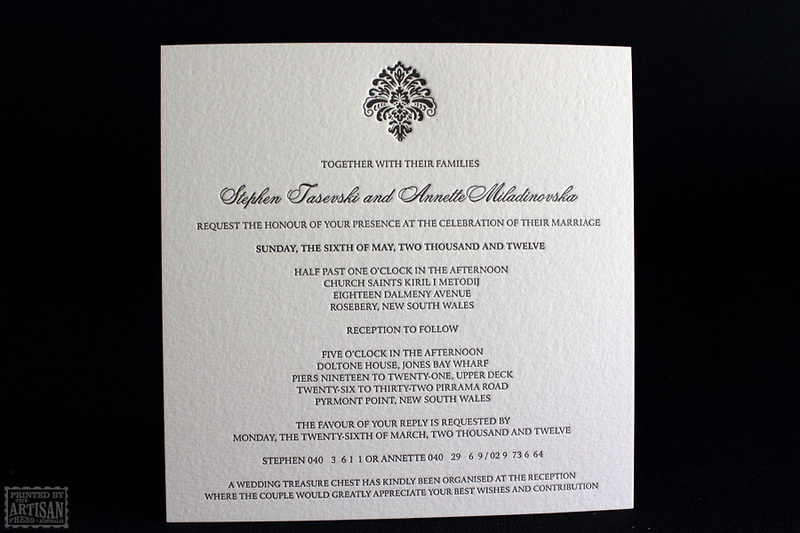 An elaborate flourish features on this classically timeless black and white letterpress wedding invitation. 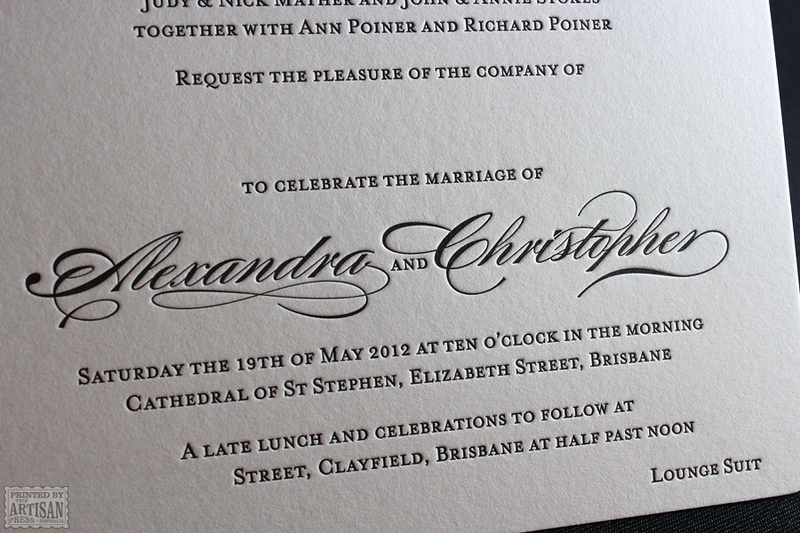 Perfect for a formal evening or black tie event. 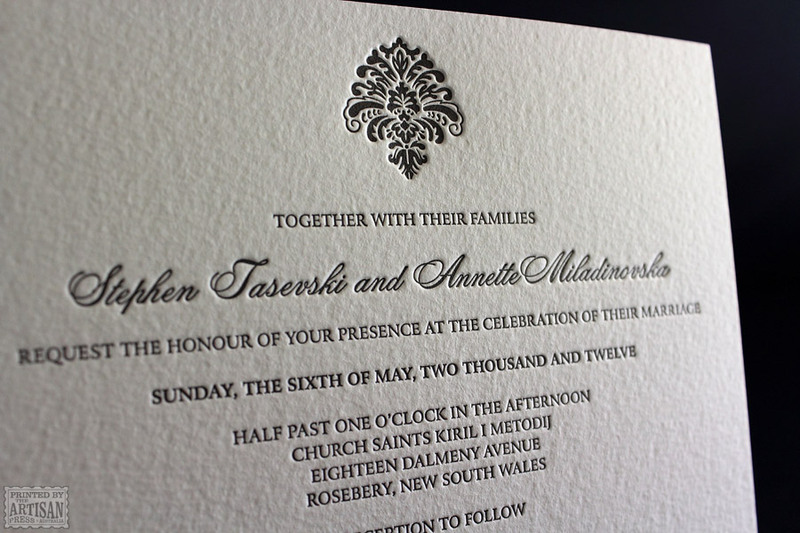 A large amount of text with a finely detailed flourish requiring crisp, individual impression for high legibility. 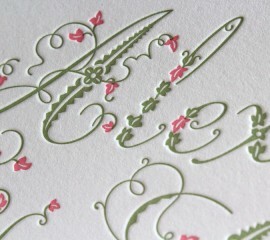 The flourish is delicately impressed, its edges sitting sharp and pronounced. 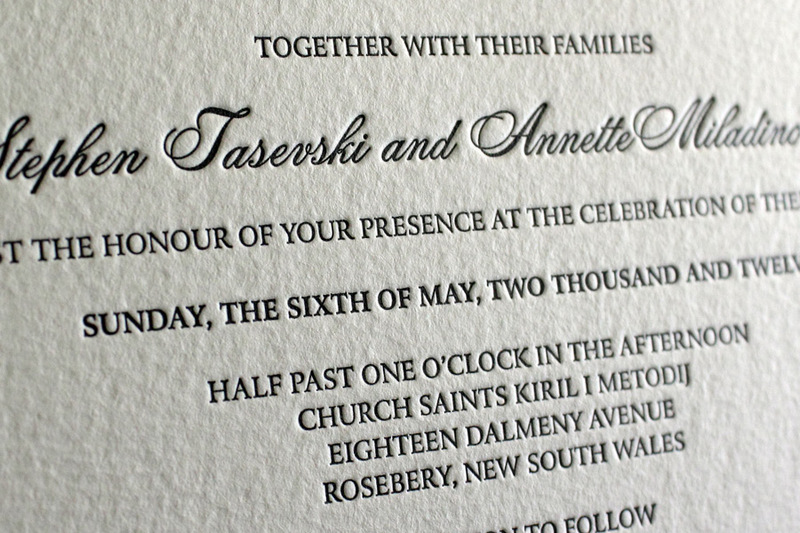 No paper warp or buckling. 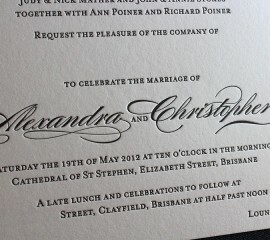 One press pass.